A meeting of divisional powerhouses will take place in Arlington this weekend as the Texas Rangers set to host the Boston Red Sox at Globe Life Park for a three-game series. The two teams will square off in two of this week's most expensive games, with the St. Louis Cardinals, Chicago Cubs, Miami Marlins, Houston Astros and Kansas City Royals also appearing on this week's top MLB games list. It has been a prosperous first half for both the Rangers and Red Sox, who each appear bound for playoff baseball come October. The two teams will match up for a weekend bout in Texas, and Friday's game will be the most expensive game of the week. The average resale price for Texas Rangers tickets is now $152.75 and the cheapest ticket is now $27. The first 20,000 fans will also receive a pair of Ricky Vaughn glasses from the hit movie, Major League. A baseball movie-themed fireworks show will also be held following the game. A.J. Griffin will get the start for the Rangers against Red Sox ace David Price. Saturday night's game at Globe Life Park will feature the Rangers' Martin Perez against Red Sox pitcher Steven Wright. The first 40,000 fans in attendance will receive a Rangers-themed rally towel, which is likely making ticket prices jump on the secondary market. 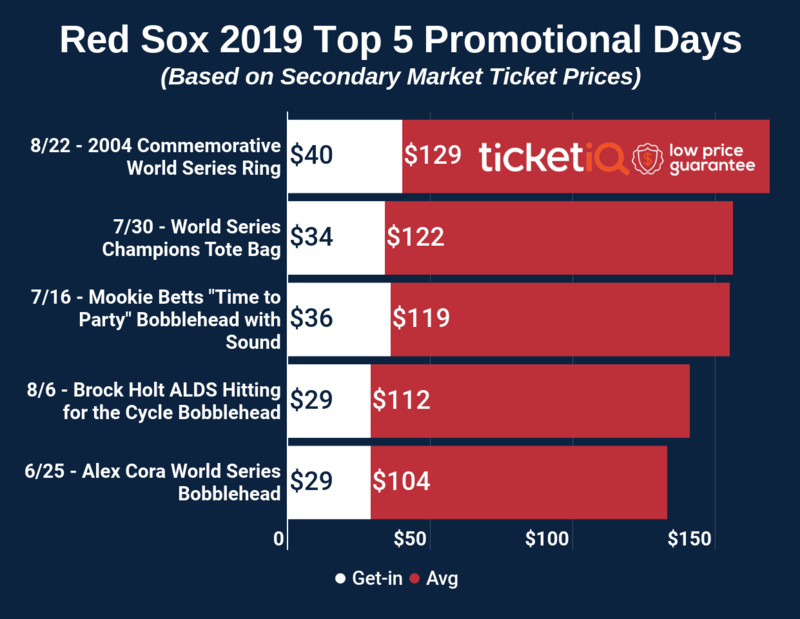 Rangers tickets against the Red Sox on Saturday now average $144.18 and the cheapest available ticket is $29. A three-game series between N.L. Central powerhouses in the Cardinals and Cubs will hold its final game on Wednesday, and the Cubs will look to avoid a sweep at the hands of their divisional counterparts. Cubs tickets against the Cardinals on Wednesday now average $140.60 and the get-in price is $41. The high demand for tickets is likely due to reigning Cy Young Award winner Jake Arrieta taking the hill for the Cubs. Arrieta owns an 11-1 record entering Wednesday's start and a 1.74 ERA, second in the National League only to Clayton Kershaw's 1.57 ERA. Follow their series finale with the Cardinals on Wednesday, the Cubs will travel south to Miami to begin a four-game weekend series with the Marlins at Marlins Park. Thursday's game will be the most expensive game of the series, with Marlins tickets against the Cubs averaging $115.02 and the get-in price listed from $38. Cubs southpaw Jon Lester will get the start against fellow lefty Wei-Yin Chen in the opening game of the series. It has been a turbulent first half for the defending World Champs, as the Royals have struggled to find consistency away from Kauffman Stadium. The team owns an impressive 25-8 record at home but has gone just 13-24 on the road. Long-term injuries to starters Mike Moustakas and Alex Gordon haven't helped, either, and the Royals have seen the Cleveland Indians climb to the top of the A.L. Central. They'll return home for a weekend series with the Astros, and Saturday's game rounds out this week's most expensive games list. Royals tickets on the resale market own an average price of $114.33. If looking just to get in, the cheapest ticket is priced from $33.